Igor Kolokolov and Vladimir Lebedev, scientific experts from HSE's Faculty of Physics and the Landau Institute for Theoretical Physics of Russian Academy of Sciences, have developed an analytical theory binding the structure of coherent vortices formed due to inverse cascades in 2-D turbulence with the statistical properties of hydrodynamic fluctuations. Uncovering this link could be useful in identifying the causes of the particular characteristics of such atmospheric phenomena as cyclones and anticyclones. Their research is presented in an article published in the Journal of Fluid Mechanics. The article, 'Velocity Statistics Inside Coherent Vortices Generated by the Inverse Cascade of 2-D Turbulence', published in the Journal of Fluid Mechanics, presents a consistent analytical theory describing both the intensive mean flow inside the vortices and the fluctuations therein. Namely, the research indicates that the vortices possess a universal structure: When there is an interval, the azimuth speed does not depend on distance from the vortex center. Statistical properties of the fluctuations in the universal interval are established. They can be used, for instance, to determine advection and mixing of pollutants in the turbulent flow. In short, the theory helps to explain the outcomes of laboratory experiments and numerical modelling of 2-D turbulence where coherent vortices had earlier been observed. The scientists note that this research does not rely on semiempirical formulae, whereby general conclusions are made about computational and natural experiments, but rather the correlations derived from first principles. The results of the analysis are valuable owing to their predictive power, as well as insight into such phenomena. Furthermore, the article presents the latest results of the scientists' efforts to analyze coherent vortices in 2-D turbulence, which the authors have been investigating for more than a decade. 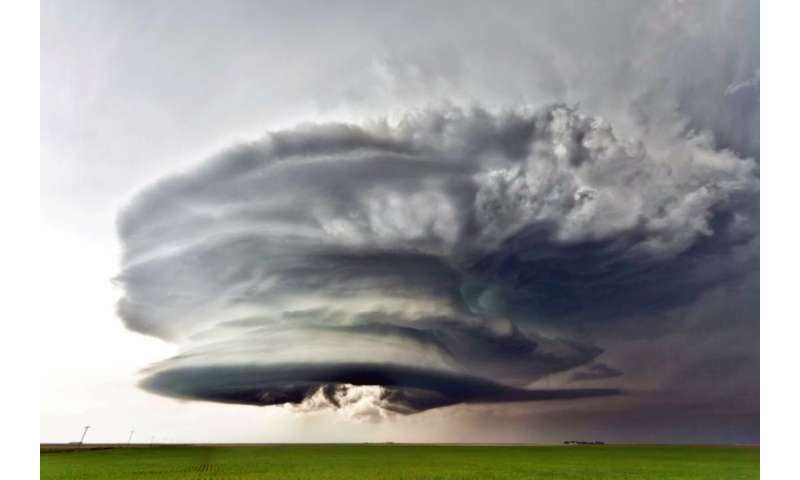 As both Kolokolov and Lebedev note, despite the fact that geophysics is much richer than fluid-film hydrodynamics, there are grounds to consider large-scale atmospheric phenomena such as cyclones, anticyclones and hurricanes as coherent structures that emerge out of 'chaos'. This, in turn, enriches our understanding of the laws controlling appearance of such atmospheric phenomena. Furthermore, this may, over the long-term, even offer us with possibilities to manage the phenomena.